Chunky 10 kt yellow gold double ended padlock pave set with 13 4 pt diamonds - there are just over half a carat of diamonds in this piece. This lock can be used as a clasp for a necklace or bracelet, as a charm holder or on one of my wear-your-padlock-as-a-cuff bracelets (sold separately). 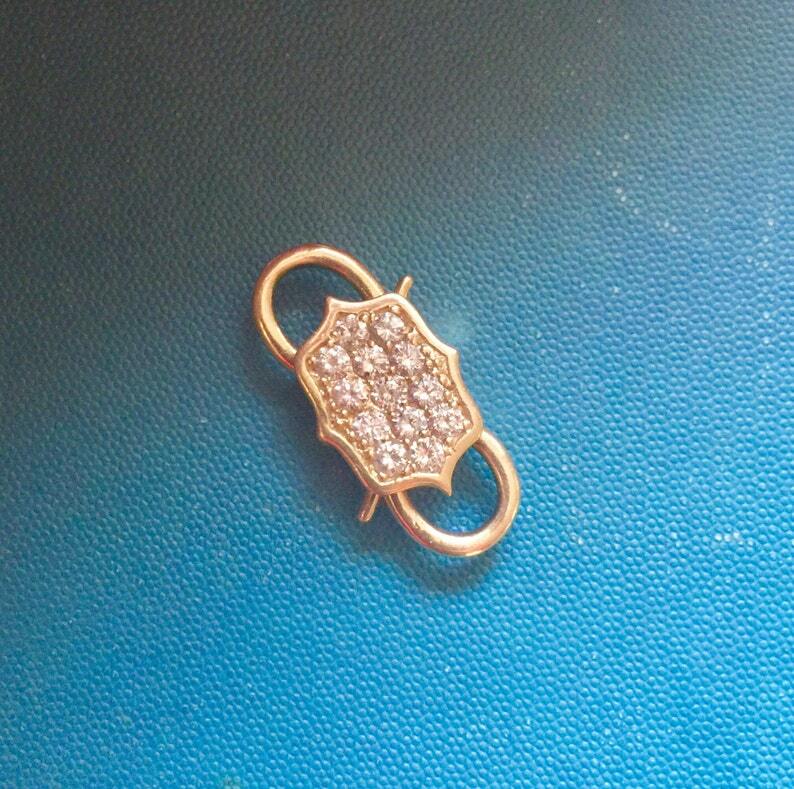 Available in sterling silver, gold, bronze or with pave set gemstones. Oxidized silver padlock cuff - CUFF ONLY! LOVE THIS UNIQUE TREASURE! Couldn’t be more thrilled to own this very special piece of artwork! Thank you very much!